In the history of independent India, the first budget has often set the tone for important policy initiatives. We take a look at some first budgets of new governments. The first budgets of new governments are often closely scrutinised to get a sense of their priorities. Indeed, in the history of independent India, the first budget has often set the tone for important policy initiatives. We take a look at some first budgets of new governments. Presented in November 1947, it was the first budget of independent India. Chetty coined the term interim budget in his budget speech. The Budget was a review of the economy and did not propose any new tax. "For the present both the Dominions (India and Pakistan) will continue the existing taxes and duties, there will be a free movement of trade between them..." said Chetty. "Our party's social and economic programme lays heavy emphasis on rural development ... (and) eradication of unemployment" said Patel. >> Focus on austerity by mobilising public opinion against a lifestyle inconsistent with the economic realities of India. >> National Rural Employment Programme was launched to revitalise the rural economy. The first, and only Budget of the V.P. Singh-led National Front government. "We will come down with a heavy hand on those who give vent to their pomp and money power, by circumventing our laws and frittering away the scarce resources of the nation," said Dandavate. >> A Cabinet Committee on Prices was formed and steps taken to improve the supply of essential commodities. >> State-run banks' mounting Non-Performing Assets (NPAs) raised concern. The Budget proposed setting up asset reconstruction companies and more debt recovery tribunals. >> The plan outlay for key infrastructure sectors of energy, transport and communications was substantially increased. 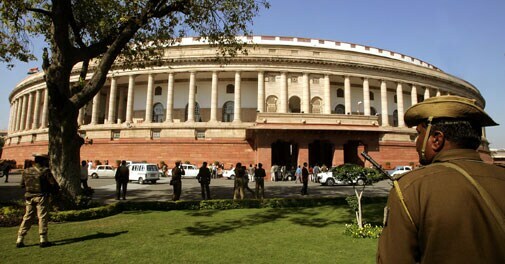 "The economic fundamentals appear strong and the balance of payments is robust," said Chidambaram in his Budget speech. >> FDI hiked in telecom from 49 to 74 per cent and in civil aviation from 40 to 49 per cent.